← WHAM BAM THANK YOU LAMB! This is a really easy snack or light lunch and This dish can work equally well without the addition of truffle though the investment of some truffle oil is well worth it. I prefer to leave the herbs whole as you get a unique flavour with each bite. 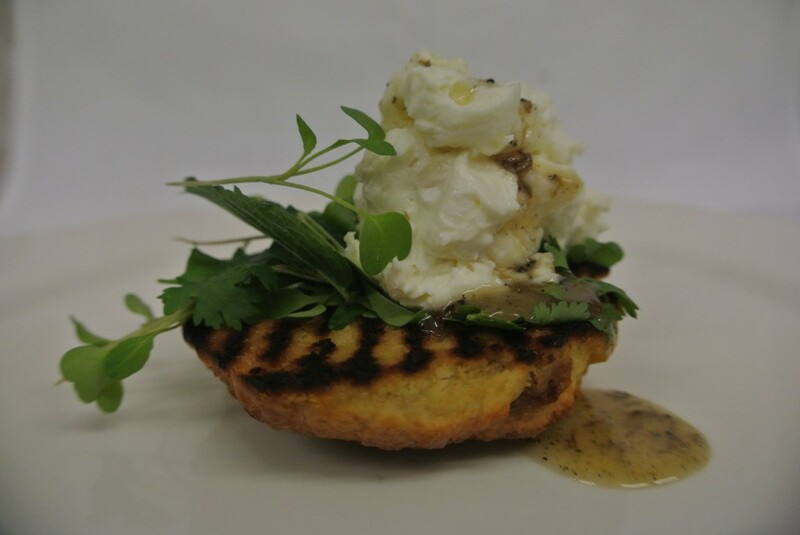 Toast the tea cake till brown on one side, mix the cheeses together and add a pinch of salt and pepper, arrange the herbs on the tea cake top with the goats’ cheese and spoon over the honey truffle.